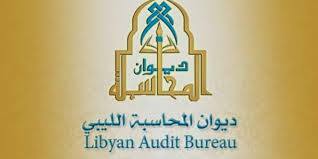 The Tripoli-based Audit Bureau has called upon the Faiez Serraj-led Presidency Council (PC) to freeze its decision to approve US$ 1.5 bn Cash-Against-Document (CAD) import facilities. It has asked for more time to look into the details of how these approvals were reached and into what it referred to corrupt-looking procedures. 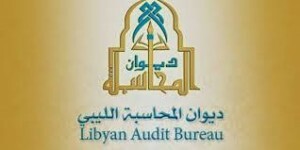 In its statement yesterday, the Audit Bureau said that it was unhappy with the transparency of the approval process and with the short period of time given to companies to present their offers. It felt that in view of the fact that many companies had offers ready for approval suggests that the whole process was rigged and directed at specific companies. The PC was attempting to process import facilities for essential foodstuffs so that they could arrive in Libya in time for the fasting month of Ramadan, which starts in mid-May this year. Much like the Christmas period, Ramadan is a peak demand and consumption month for foodstuffs. It will be recalled that the late decision to approve hard currency in the form of Letters of Credit (LCs) or CADs was also criticized last year and the year before. Fellah was very critical of the process and lack of transparency involved in the opening of the LCs. ‘‘The same mistakes and excesses if not the same thefts and crimes that occurred in the previous (fasting) month of Ramadan are repeated this year under the pretext of the urgent need of basic materials (mainly foodstuffs)’’, he had explained to Libya Herald. And these LCs were opened ‘‘quickly and for the same companies without informing anyone and in the utmost secrecy and with the utmost speed came the proposals of the CBL and its proposal to the companies supplying. And the blessing of the Presidency Council and the Audit Bureau, which if the news is correct, they opposed this move last year’’. Fellah was also critical of how many companies were not able to get these preferential rate LCs which he saw as limited to certain companies. ‘‘How were these companies selected and where is the role of the private sector and Libyan businessmen who do not happen to have special relations with CBL staff and Libyan industry. Is there any answer from the CBL, Presidency Council or Audit Bureau?’’, complained Fellah.